I have been drawing up the cutline to work from for the church. 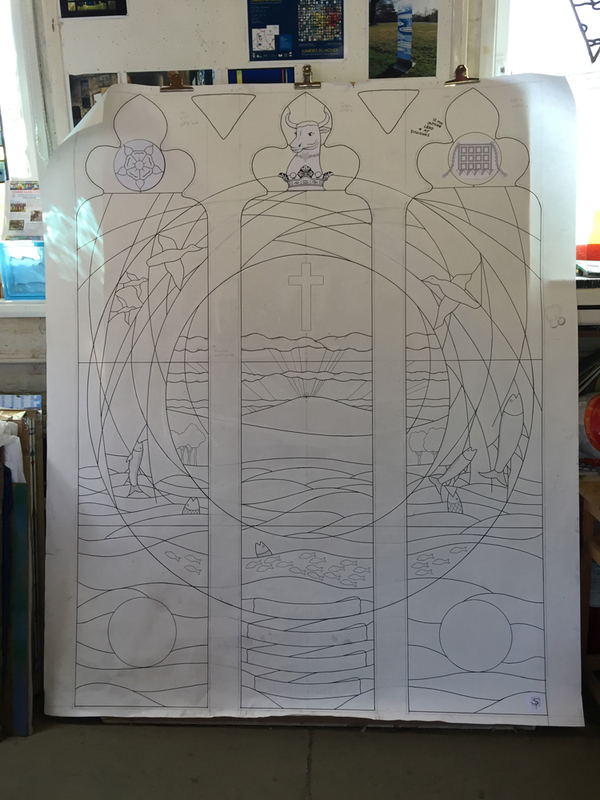 I had to get all the panels lined up to draw the central circle so that it is in the correct position across the three windows, a bit tricky. My posh compass wasn't quite big enough so I resorted to an old blackboard compass but it did the job perfectly! Next I will work on the crests and other details.